General Assembly of Malawi Assemblies of God (MAOG) has underlined the church’s clear stand to support policies and programmes of State President Peter Mutharika and his government in serving Malawians. The commitment was made during a meeting between the General Assembly and President Mutharika on Tuesday at Kamuzu Palace. Having elected new office bearers for MAOG executive leadership, the church thought it wise to introduce the new team to the First Citizen. Assemblies of God president Dr. Edward Chitsonga pointed out that his establishment is in line with what President Mutharika is doing to steer Malawi towards development. “Malawi Assemblies of God believes that leaders are appointed by God as recorded in Romans 13:1-7. Therefore, our Churches pray for you and your government structure,” Rev Chitsonga said. “ Malawi Assemblies believes in partnering with the Government in its developmental agenda. In the past, the Church focused only on evangelization of lost souls as its sole mandate. However, our growth and awareness of the needs of the people we serve, has made us re-think our operations. We have decided to become more relevant to the needs of our Country,” said Chitsonga while highlighting several of MAOG’s interventions in Education, Health and Social Services. In his remarks, President Mutharika asked the church to act as a moral compass for society at a time when social evils are becoming rampant. “It is our expectation that the church will always act as a moral compass for society not to stray. In this regard, the church should be in forefront in the fight against evils such as Human trafficking; Killing people with Albinism; Mob justice; Jealous and Hate of each other,” he said. He then promised the church of his government’s support with an understanding that the Church and State co-exist to serve the same population. “Government very much appreciates the role that the Malawi Assemblies of God General Assembly plays in providing for both the Soul and Body of our people. Together, we fight poverty, we fight hunger. Together we provide our people with education, health services, food, human security, and many more. We are partners in development. And together, we will do more,” said the President. The meeting was the first of its kind between MAOG and President Mutharika. These Pastors are just fortune seekers. Looking for recognition, positions in parastatal boards etc. Nothing else. It mayopic to think that Chakwera abandoned the work of God. Leading a Nation in the fear of God is also doing the work of God. Blessed is the nation whose God is Lord. With Chakwera at the helm of leadership I believe Malawi will be driven toward god fearing nation. Chakwera is also a pastor. Is he not one of the fortune seekers who quick the pulpit to chase fortune in politics? Contradictions!!! Romans 13: 1-7 is wrongly quoted here. Paul was referring to a Government that was free from corruption, nepotism, murder and abductions. It is an insult to the Holy Spirit to refer a corrupt DPP Government as institution set by God. A true Church stands for and protects the poor who are not in Government. How is Chakwera coming into this equation? I am failing to understand. Njuchi zikamaluma ziri ndi madzi/uchi. Mapwevu sumamvadi koma iwe sulankhule za Chakwera lankhula zambuya wako mathanyula akulephera kutipatsa magetsi madzi nyanja alandanso koma mathanyula bolaso Joice. Sitipeza dziko atatilanda ndimablack out awa. He is going to UN ife tlili mumdima komaaaaaa chitsiru ichi. Shaaa! 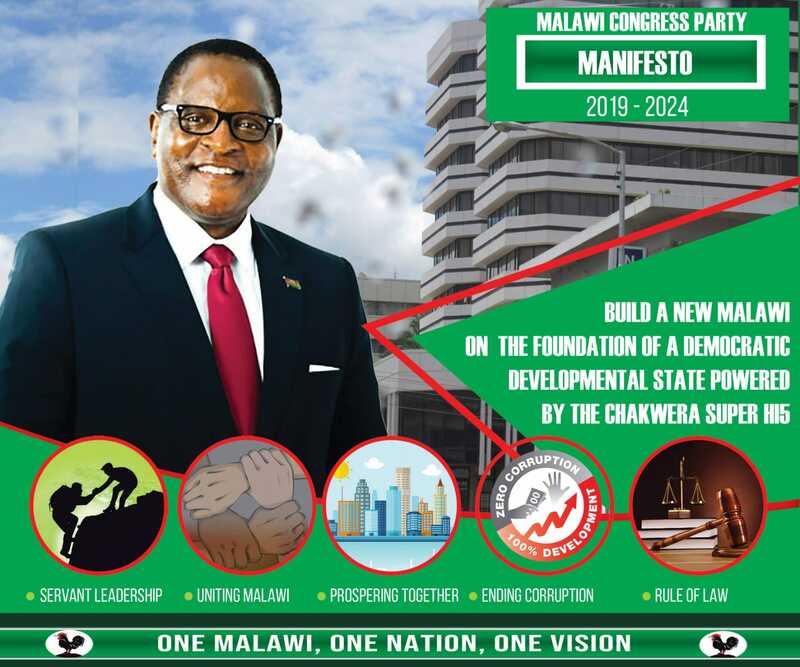 Whither Chakwera? Basi now my dear texas-tongued reverend doctor has nowhere to seek refuge when expelled from MCP. It just shows that his joining of politics was not sanctioned by God but inspired by greed. Emalile vava!